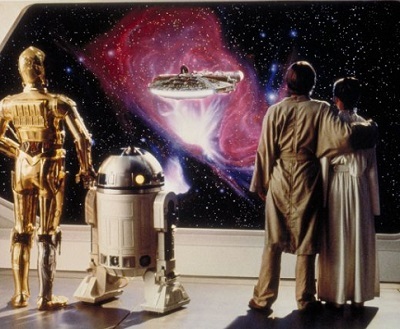 Star Wars: Episode V: The Empire Strikes Back is probably the most-analyzed film in the Star Wars saga. There’s no doubt why that is. It is the fan favorite, it has the most interesting character development, and it has one of the biggest twists in cinematic history. I’m going to focus on an aspect of this film I’ve never heard anyone discuss before: The many ways that Luke Skywalker and Han Solo become more like each other through the course of the plot. Everyone knows the events of this film, but probably few have thought of them in this way. Let’s whip out our blaster and turn on our lightsaber as we discover how Han Solo became Luke Skywalker (and vice versa) in The Empire Strikes Back! On Hoth, Luke gets into trouble and Han (ignoring the advice of his superiors) braves the extreme cold and rescues Luke against all odds. In Cloud City, Han, Princess Leia, Chewbacca, and C3PO are captured by Darth Vader, and Luke (ignoring the advice of Yoda and Obi-Wan Kenobi) risks his life to try to save them. Han had already proven his nobility at the end of A New Hope, but his actions at the start of The Empire Strikes Back reinforce how much he has changed and how close he has become to Luke. And Luke, being as heroic as he is, couldn’t sit by while his friends are being tortured and possibly killed. At the start of the film, Leia rebuffs Han’s romantic advances in favor of Luke. She only sees Han as a valuable asset to the Rebellion. As they spend more time together, though, Han changes Leia’s mind about him and by the end of the film she is deeply in love with him. She still cares about Luke’s wellbeing, but in a more general way than before. Han and Luke start the film fearless, but their deep-seated fear eventually comes to the surface during a moment of crisis. 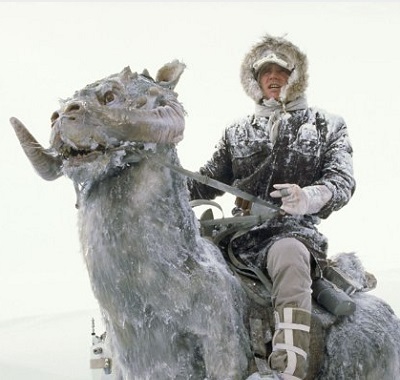 Han never shows a hint of self-doubt as he faces certain death traveling across the snowy wasteland of Hoth, navigating an Asteroid Field, and taking on a Star Destroyer. He does show fear, however, when he has to be separated from his friends. All he can do is ask Chewbacca to protect Leia and then he takes a plunge into the carbonite chamber. Luke takes down an Imperial Walker, goes through grueling Jedi training, and duels Darth Vader while controlling his fear. But when he learns the terrible truth about who his father is, it’s too much for him, and he nearly gives into his fear. But he manages to fight his feelings long enough to take a plunge down a huge tunnel. A creature attempts to swallow the heroes whole after they make an unfortunate landing. Han takes a break from being pursued by Imperial forces by hiding in a giant asteroid. However, he doesn’t realize he actually landed inside a Space Slug. He makes it out just in time to avoid being forever trapped. Luke crash lands in a swamp on Yoda’s planet, Dagobah. He actually has two experiences almost being eaten. R2D2 gets eaten by some kind of fish, which promptly spits him out. Later, Luke’s X-Wing gets completely submerged in the swamp, but it’s rescued by Yoda. 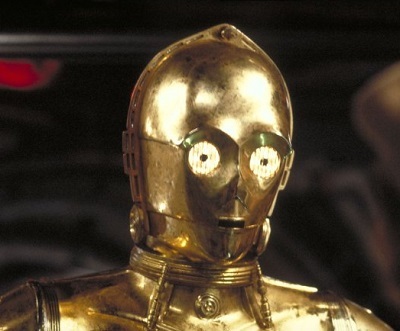 C3PO and R2D2 are separated and go with Han and Luke, respectively. Han is annoyed by C3PO, constantly telling him to be quiet, even when he has important information to share. Luke also fails to heed R2D2’s many warnings and he prefers to do things his way. This isn’t a huge point, but it’s just fun to see how Han and Luke interact with the droids in similar ways. Darth Vader is obsessed with finding Luke and he will use any means necessary to do so. When Luke escapes his grasp, Vader shifts his attention to Han. He wants to use Han and his friends as leverage to get Luke to come to him. Han and Luke are betrayed by someone close to them. When Han lands at Cloud City, he thinks he’ll be welcomed with open arms by his old friend Lando Calrissian. 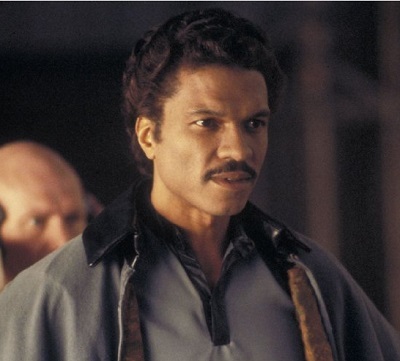 But Lando’s duplicity is revealed when he hands Han and his friends over to Vader. During Luke’s confrontation with Vader, he is stunned to learn the true identity of his father. The revelation strikes him as a bitter irony, especially given the fact that his own father wants to hand him over to the evil Emperor. The revelation that someone who should have been a trusted friend is actually their enemy is devastating to Han and Luke. Han sinks back into his cynical shell for a time in response to the blow while Luke recoils in horror and questions everything he was taught to believe by Obi-Wan. 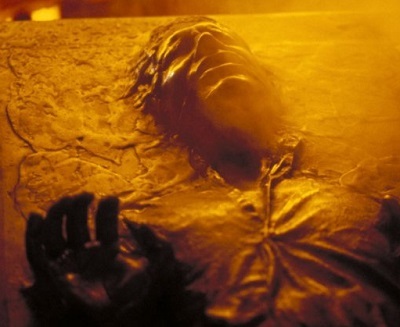 The carbonite chamber is tested on Han and used a second time in the hopes of trapping Luke. Han and Luke are the only characters to take a trip into the carbonite chamber, and Han is the only one it is successfully used on. Luke jumps out in the nick of time. As the film gears up for its climax, the two characters face increasingly similar situations and their shared characteristics become even more obvious. I saved the best for last. After facing Vader, Han is cut off from his friends and Luke’s hand is cut off of his arm. In other words, Han is solo and Luke has a solo hand. It’s too perfect. Oh, and Luke is all by himself and defenseless after his fight, but he is soon rescued by his remaining friends. The same thing happens to Han at the start of Return of the Jedi. There you go. By the end of The Empire Strikes Back, Han and Luke have become extremely similar in their attributes and experiences. I wouldn’t say they are the same character – not by any stretch of the imagination. I simply find it incredible how the filmmakers managed to tell two parallel stories with so many things in common and yet make them seem so completely different. 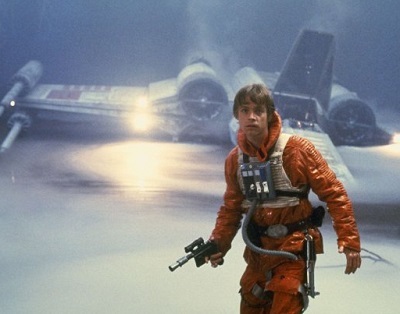 The thing I love most about The Empire Strikes Back is that it is as much Han’s story as it is Luke’s. The original Star Wars trilogy easily could have been just Luke’s journey to becoming a Jedi. But it’s much more than that, thanks in large part to Harrison Ford’s incredible performance and the filmmakers’ willingness to flesh out the lead characters to the fullest extent possible. This entry was posted in Random Stuff and tagged action movies, characters, empire strikes back, films, han solo, luke skywalker, movie review, movies, relationships, science fiction, star wars. Bookmark the permalink.